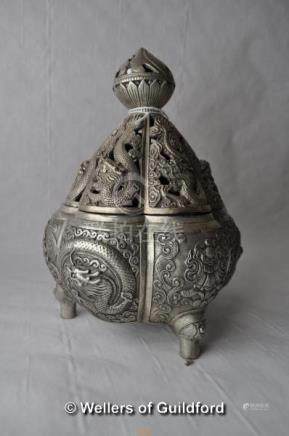 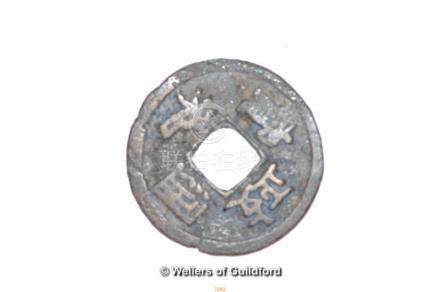 7313: A Chinese white metal censor and cover with pierced dragon decoration, 18cm. 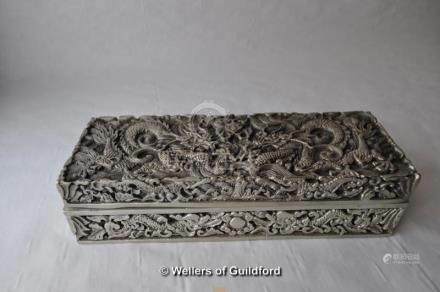 7315: A Chinese white metal rectangular box and cover decorated all over with dragons, 19.5cm long. 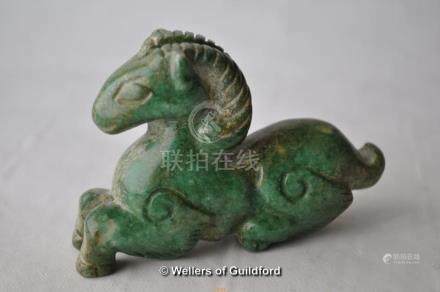 7444: A green jade carving of a recumbent horse, 7cm. 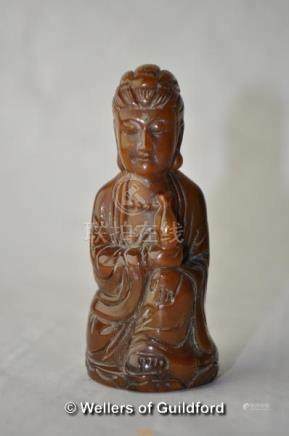 7449: A small carved Chinese horn figure of a buddha, 7.5cm. 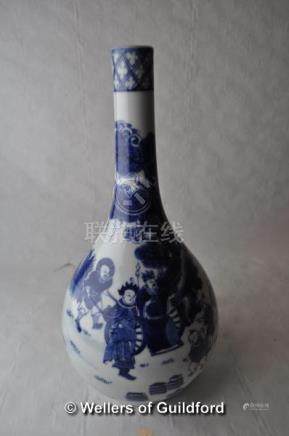 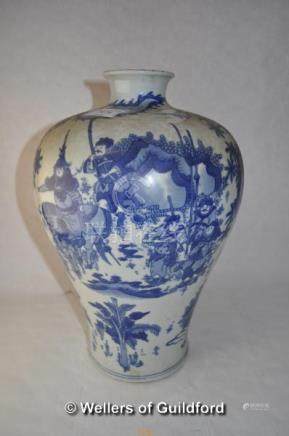 7478: A Chinese blue and white baluster vase decorated with warriors, two rings to base, 33cm. 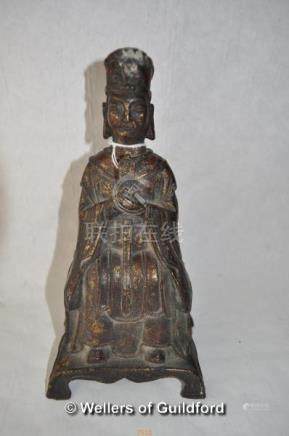 7510: A Chinese cast iron figure of Taoist the immortal, traces of gilt paint, 23cm. 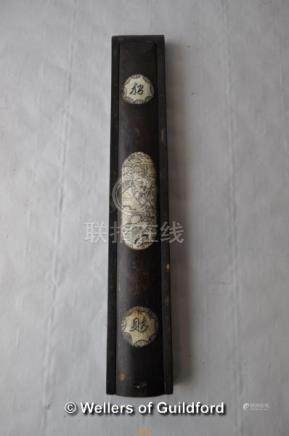 7511: A Chinese wooden chopstick case with bone inlay, 27cm. 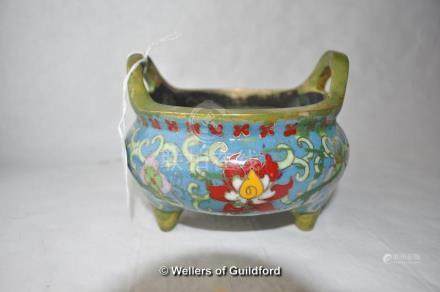 7513: A Chinese bronze censor with enamelled decoration, 12.5cm. 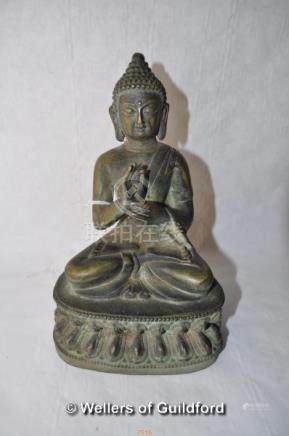 7516: A Chinese iron figure of Buddha, 20cm. 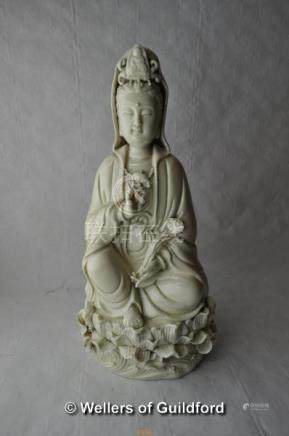 7536: A blanc-de-chine figure of Guanyin holding a sceptre, seated on a lotus flower, 26cm. 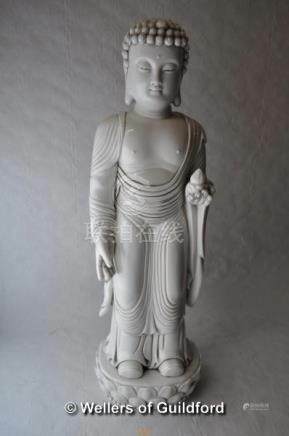 7537: A large blanc-de-chine figure of a standing god, 44cm. 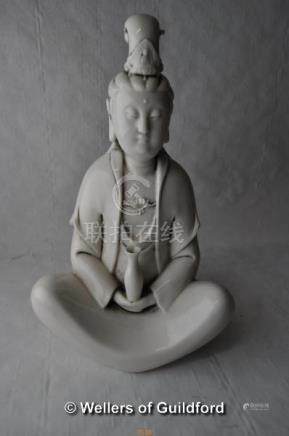 7538: A Chinese blanc-de-chine figure of a seated goddess, 25cm. 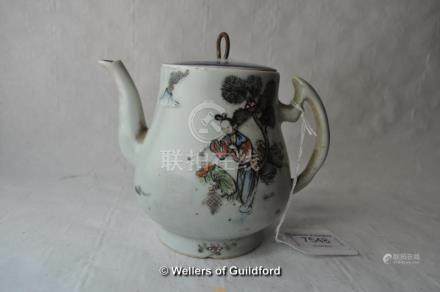 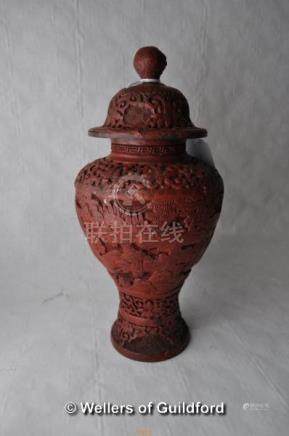 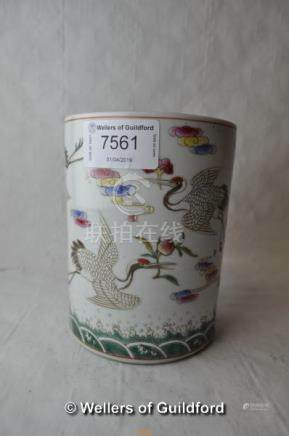 7548: A Chinese porcelain water dropper, replacement lid, 10cm. 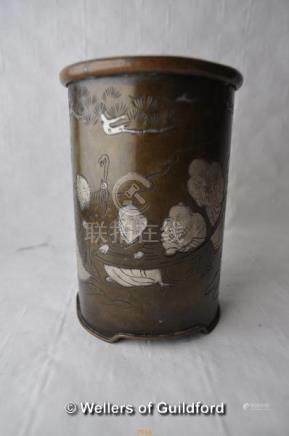 7561: A Chinese porcelain brush pot decorated with flying cranes, six character mark, 12cm. 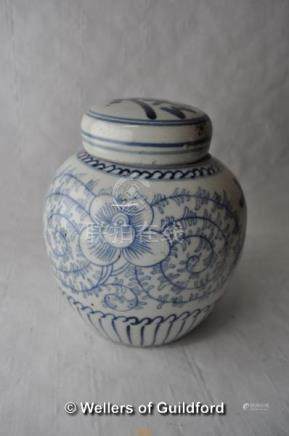 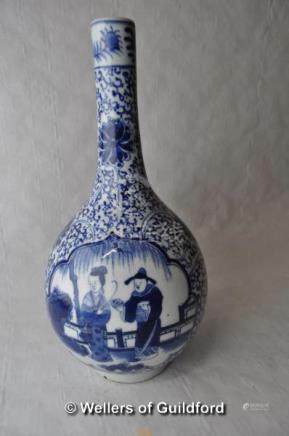 7563: A Chinese blue and white ginger jar and cover,15.5cm. 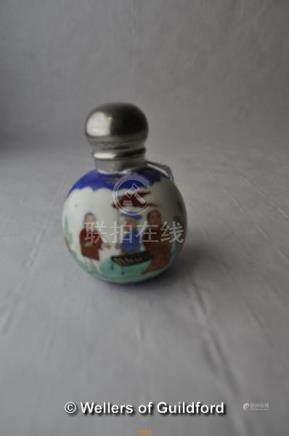 7585: A Chinese porcelain globular scent bottle with silver plated top.